When you're looking for photos for your blog, website, or other project, you may want to take the time and money to hold a photo shoot to get your images. Or, you might only need generic images. While there are plenty of stock images to choose from, photographs are protected by copyrights and licenses whether you hire them or simply use existing images. Make sure you understand these terms and restrictions so that you can choose appropriate, legal images for your purposes. All creative pieces of work, including photographs, are protected by copyright law. This protection exists as soon as the item is created, whether or not the item has a registered copyright, and regardless of whether the photographer has labeled the image with a phrase such as "all rights reserved." This copyright means that the creator of the work has the right to decide how the work is used. The creator - or photographer - can choose to license his photograph to others, allowing them to use the photograph and perhaps restricting that use as desired. The photographer may also decide not to license his work, which means it is his and his alone. This copyright protection also applies when you hire a photographer for an event. 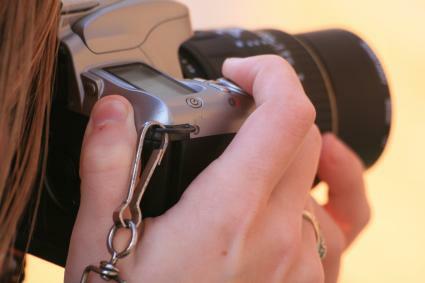 The photographer owns the copyright to the photograph and is able to decide how the image may be used. Usually, however, your photography contract allows you to print a certain amount of images regardless of who owns the copyright. Otherwise, you can purchase printing rights (or a license) from your photographer to avoid infringing on his or her copyright. Even if a copyright is not registered, and many are not, the photographer can sue you if you use his photograph without consent. However, according to the Legal Information Institute at Cornell Law School, if a copyright is registered a photographer can seek $150,000 in additional damages for each infringement of a registered copyright. A license is what you purchase when you pay for a photograph, or what you agree to when you download a free stock image. You are not purchasing the copyright or ownership of the photograph; rather, you are obtaining a license to use the photograph for a specific purpose. Advance against royalties - An amount paid to the copyright holder when the agreement is signed. This amount will be usually be credited against future royalties. One-time license fee - An amount paid to the copyright holder when an agreement is signed that is not credited against future royalties. Royalty rates - The percentage of net sales that is paid to the copyright holder. Per unit royalties - When royalties are not a percentage of sales, but instead are a defined amount of money for each sale or download. GMAR (Guaranteed Minimum Annual Royalty) - A minimum amount the licensee promises to pay the copyright holder each year, regardless of the amount of sales that occur or how much money is made from the image. There are several types of licenses that you can purchase or agree to: royalty-free, rights-managed, share alike, and non-commercial use licenses. If you use a royalty-free stock photo, you can use it for whatever you'd like as long as it falls within the terms of the licensing agreement (which usually limits the usage to a high number, such as 500,000 uses). You can use the photo repeatedly, for different projects, for as long as you want after you purchase the license to use it. After you pay the licensing fee, you do not need to pay royalty fees for additional uses. If you use a rights-managed stock photograph your use of the image is limited in some way, whether it is restricted to a certain time period, industry, and so on. Therefore, when choosing your photographs, it's important to know how you want to use them so that you can purchase an adequate license. Will you need to print 10,000 fliers with the picture or 50,000? Will you distribute your brochures statewide or nationwide? Having specific information about how you will use the image means you can buy a license with enough uses, and that you won't overspend on a license that is too extensive. In 2002, an organization called Creative Commons created a license for artists to use called a share alike license, which pertains to free images. This license allows the licensee to redistribute the image or "alter, transform, or build upon" it under the original license, as long as he gives credit to the photographer and notes whether any changes were made to the image. Any adaptations or publications of a share alike photograph are restricted to the terms of the original license. Some photographers are willing to give you a license for their work that requires that the photograph is only for non-commercial use, or a use that doesn't generate income. The definition of non-commercial use can be confusing, since even if you're not selling the image itself, you might intend to use the image somewhere that does earn you money even if you don't make a profit or are a non-profit organization. Since the phrase is so vague, you have to look carefully at the terms of the license to see what uses are acceptable. When you buy a license to use a stock photograph, you may wonder how the photographer gets paid. Usually, the website that sells stock photographs has obtained a license to distribute a photographer's work, and pays the photographer each time their photograph is downloaded. This payment is called a royalty. If you hire a photographer, you are generally charged a fixed rate for his time as well as the resulting photographs. No royalties change hands in this case unless specified in the photographer's contract. Despite a photographer's copyright, there are two exceptions to copyright law that permit you to use a photograph without getting a license: fair use and education. Generally, if you are going to use copyrighted material for a transformative purpose - as in review it, comment upon it, or parody it - you may do so under the fair use exception to copyright law. This exception has several factors to determine whether using an image without first acquiring permission is allowed under this exception. Generally, the exception allows for you to use a creative work if the usage is nonprofit, educational, or personal. The fair use exception also considers whether the photograph has already been published, rather than taken from a photographer's private collection. Additionally, the fair use exception is more likely to apply if you only use a small portion of a work rather than the whole piece. Finally, using a photograph is more likely to be considered fair usage if your project doesn't have a major impact on the commercial market of the photograph. Using photographs that you find online for your website or printed materials is generally not considered fair use. It's always safest to purchase stock photos, hire a photographer, or seek permission from the owner of the photo before using it. You may use a photograph without obtaining a license if you are teaching in person, such as in a classroom, as long as the instruction is in a place that is devoted to eduction (not, for example, an educational lecture in a store). This exception also applies to virtual education, but only with courses that are comparable to classes that would take place in a classroom, and only when the photographs are distributed to students enrolled in the class. There is also a category of photographs that isn't copyrighted. These are photographs that are in the public domain. These images either were never copyrighted, their copyright protection has expired, or the creator donated the work to the public domain. The only creative works that are not automatically copyrighted are those created by the federal government, or those created by federal government employees in the scope of their employment. Expired copyrights are based on the type of work and the date of publication. Finally, if you think an image might have been donated to the public domain, look for a No Rights Reserved notice. Even after you obtain a license, or determine that a copyright exception applies to you, you must be careful. The right to use a photograph does not give you the right to sell a photograph or allow others to use it. For example, using the education exception to copyright law means you can show a picture in a class, but it doesn't mean you can publish it in a textbook that you will then require students to buy. So before you save an image from the Internet for any purpose, make sure to review all the applicable licensing rules.